Songs that are diverse contemporary compositions, which span across a variety of musical genres, with lyrics that praise and glorify God and proclaim the "Good News" of His Son, Jesus Christ. 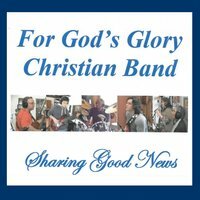 For God’s Glory Christian Band hails from Newburgh, NY in the Mid-Hudson Valley region in the State. "Sharing Good News" is the band’s debut CD. The CD consists of a collection of 15 original uplifting and heartfelt songs. The songs are diverse contemporary compositions, which span across a variety of musical genres, with lyrics that praise and glorify God and proclaim the "Good News" of His Son, Jesus Christ.